Out of Arkansas, Colorado, Florida, Indiana, Iowa, Michigan, Missouri, Montana, Nevada, Texas, and Wisconsin, Montana takes the cake. For starters, their airport is the most beautiful airport I have ever seen. It is not an industrial building filled with rushed travelers, but it is a little log cabin that emits that homey feeling. Not only was there a bald eagle flying by the window at the airport, but the mountains are too close to not be breathtaking. And then there was the hour and a half bus ride from Bozeman to the Crazy Mountain Ranch. I have never seen such a variety of terrains in one place. I had flashbacks to Sicily and Missouri. The large hills reminded me of Sicily and the rocky cliffs, Missouri. On the way to the ranch we pass by free range antelope, cows, bulls, elk and bald eagles. There were so few people in sight; just animals and open land. And then there is the Marlboro Ranch, my favorite place in the entire country. It is as if you stepped into a time machine and fell into the old west. Not only is the ranch surrounded by three different mountain ranges, cows, and bald eagles, but the town has the feel of the 1860s. All of the buildings have been replicated using wood from over one hundred years ago. The staff warmly welcomes you to the ranch the instant your foot touches down on the Marlboro Ranch grounds. The staff is so incredibly nice it is almost a culture shock. Being from Chicago, encountering too many genuinely nice people in one place can be a bit startling. But I loved their kindness, and they made us all feel as if we just came home. The town on the ranch. After we arrived, we were shown to our room in the bank. The coolest part of the bank is that all of the bank notes on the walls were authentic. Being an archaeology enthusiast, you could only imagine that I was in heaven. I love nothing more than being surrounded by rich history. It could not be better since we were in my favorite era of the United States, the old Wild West! Our room was amazing. Our window looked out to the mountains. The bathtub was amazing as well, even though I hurt myself trying to get in it. #shortpeopleproblems. They also had authentic bank notes in our room, which I did not notice until the last day, but still quite interesting. The first day was lovely. We all gathered in the Saloon for a mini orientation and drinks. The staff made their rounds to meet the guests, surprisingly remembered several names, and then provided us with the history of the rebuilt town. Afterwards, we returned to the Saloon for more drinks, and then to the Livery to abuse the Photo Booth. Who could ignore a free photo booth that prints out two copies of the photos? Not us, and that is a fact. We met some fellow ranch winners from Providence, Rhode Island. Their accents were flawless, pure East Coast. Then off to bed. We had a very busy second day ahead of us. I woke up the second day with the best sleep I have ever had. Probably the best sleep in years. I went to bed early, and woke up energized and ready to go. We went off to the Saloon for breakfast, then to the Livery for our espresso shots. Afterwards, we headed to the activity barn to suit up for Zip Lining. We got in a van, suited up at the base, and we were on our way. I have never actually been in the mountains before, aside from being on top of the large hills that resemble mountains in Sicily. We trekked through the mountains to zip line back down to the base. I did not have a great handle on how to brake properly, but luckily I only needed to utilize my brake once. I flew in each time. However, the larger zip lines were more difficult. They said that because I was of a smaller size, I will most likely not make it to the end of the line. They were right. I was about two feet out on the first long zip line. However, I was about thirty feet out on the second long zip line. That secondary brake literally stopped me in my tracks and our guide had to hook up to the line to reel me in. It was still amazingly fun! After zip lining, we went back to the Saloon to grab some lunch. Then to the Livery for another espresso shot. Afterwards, we went to our Archery adventure. I loved Archery so much that I plan on picking this up as a hobby. I have already looked into purchasing my bow, arrows, and gloves. I did not do so well on the animal targets, but I did decently on the static targets. Regardless, it was a blast! After Archery, we took a wagon led by horses down to the lake where they hosted a Fire and Ice gathering. Two bonfires on each side, an ice bar in the middle, and a heated bar in the back. It was absolutely breathtaking. There was nothing more fabulous that standing by a fire and looking at the mountains. Then, of course, we headed back to the Saloon for a bit more fun and drinking. Except this time, they had poker! We played Texas Hold Em for about four hours, and we were killing it! I felt fabulous for winning the entire pot at the end of the first night. We did so well that our poker guys signed us up at the top of the list for the Poker Tournament being held on the next evening. The third day was filled! We woke up early to get breakfast, and then ran to the activity barn to go Dog Sledding. How often do you get the chance to go Dog Sledding? It was an amazing experience. It was a short activity, but incredibly fabulous. After Dog Sledding we grabbed lunch, and then headed for the nature trail. We were driven in an SUV and we were able to take photos at the front of the ranch as well as the surrounding area outside the town, but still on ranch property. Our guide was amazing because he told the corniest jokes, and I love silly jokes. Afterwards, we headed to Ice Fishing. The fish knew what we were up to, so we did not get to catch anything. However, those guides were the funniest that I have encountered. All of the guides were amazing and funny, but these two guys synced so well together. It was a blast even though we were unable to trick the fish. Our gifts from Marlboro. I love my Cowboy hat! Then we had a gathering in the Saloon. It was a sad evening. This was to be our last night on the ranch. The staff spoke to us, and then we ate out dinner, and then we all headed back to the Livery. They surprised us with a band that sang several country songs. Soon enough, our dancing was interrupted to attend the poker tournament. Out of about 20 people, I came in fourth place and it was fantastic. I think I may have found my new Casino game! We played poker for the rest of the night, and then we retired to our rooms. Unfortunately, the saddest day arrived. We had to leave the ranch. I could not have been more upset. I am very grateful that I had the chance to experience the Ranch. It was heaven for me. 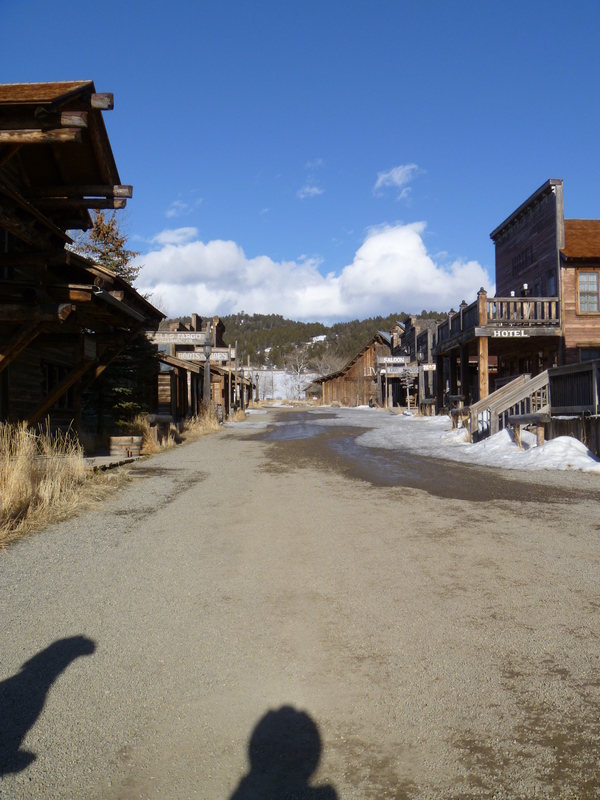 I was in an old west town with country music playing at all times. That was the saddest part. The night before we left, I looked to my friend and said, “Great! Now I need to go back to Chicago where no one likes country music aside from me.” There is too small of a country following in Chicago, and the only people who I know that love country music were all of my old friends from DeKalb. DeKalb will convert you. Needless to say, Montana is the most beautiful place that I have ever seen. 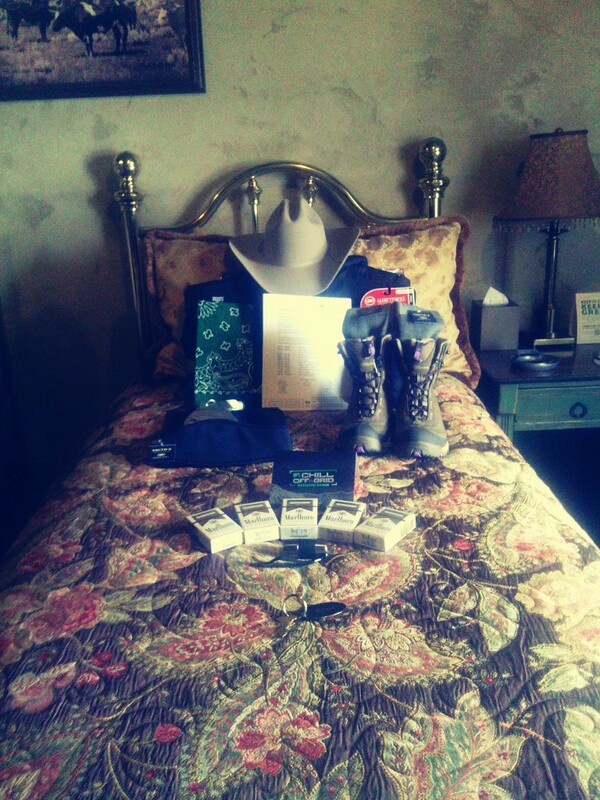 I would love nothing more than to be lucky enough to win a trip to go back to the Ranch. The fresh air, the abundance of activities, the staff, the people, the animals, the country music, and the cowboys! I was in absolute heaven. I sure hope that when I die, my final resting place is at the Marlboro Ranch. I would like to go to ranch also my brother . Can we get invited Thanks. I know what you mean. I went in January of 2013. 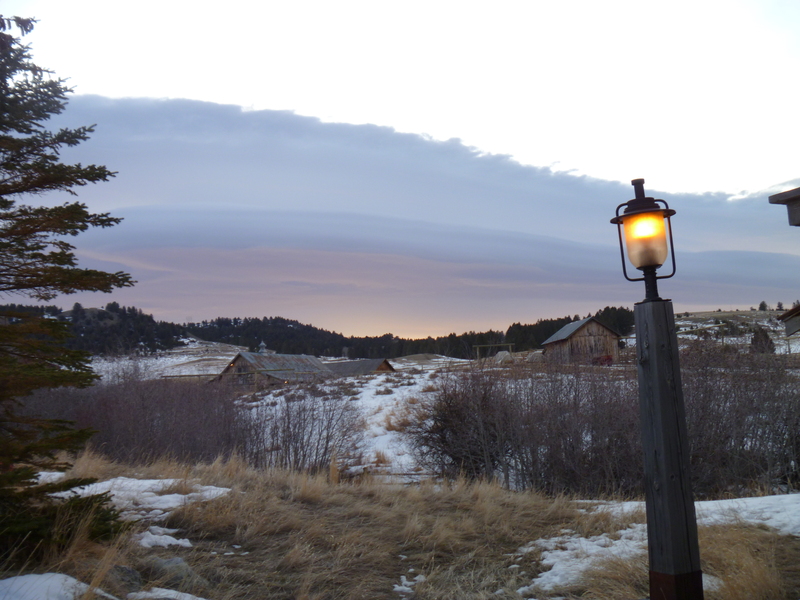 The only thing you want after a trip to Crazy Mountain Ranch is to go back. My son just won a trip, and chose me as his guest. I get to go back! I’m so excited. My wife & I are going June 28 thru July 1. Cant wait to go. This is the most excited I have been since four years ago when our daughter took us on a VIP trip to Universal Studios in Orlando. My wife & I are going June 28. Cant wait to go. I’m going on Feb. 13!!!! Can’t wait!!!!! I am jealous! I loved it there! For me it was a trip of a lifetime. I was there Jan.14. I have been looking for a chance to win a trip back. I haven’t seen a darn thing for a chance to win a trip back. Is there a secret website???? ?